Digital disruption is creating a pressing need for faster speeds and more connectivity options in the enterprise. 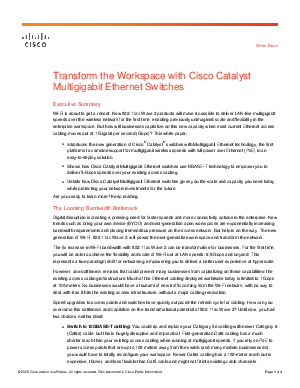 New trends such as bring your own device (BYOD) and next-generation open workspaces are exponentially increasing bandwidth requirements and placing tremendous pressure on the access network. But help is on the way. The new generation of Wi-Fi, 802.11ac Wave 2, will power the next-generation workspace and transform the network.